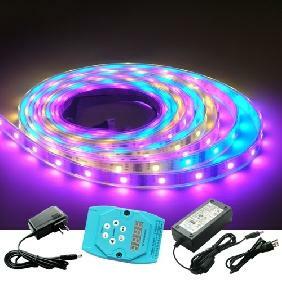 You are bidding on a 5m RGB Flash Dream-Color Light Strip, a Power Supply 12V 1A & UK/US/AU Plug (the plug type will be sent based on the country of the buyers) and a wireless remote controller. 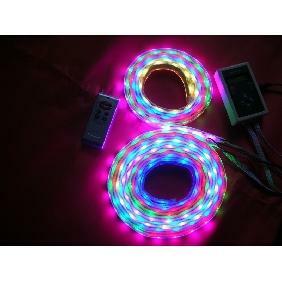 It is waterproof and flexible, comes with 83 different changing patterns and 100 different changing speeds, great to use in home, garden office and shops decoration etc. 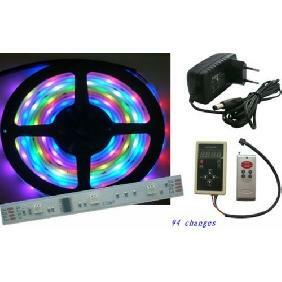 This controller is designed for led production which use HL1606 as driver, it is good for light box advertisement, stage light, house decorating, and so on. 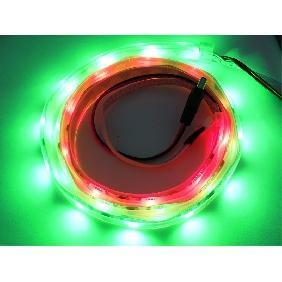 We use these LED lights on our camper. I mounted them on the bracket that attaches the awning to the camper. They are awesome in terms of the light they emit. I did purchase the dimmer and I would highly recommend it. The only downside to the lights was the adhesive. It stuck well initially to the metal strip but when I woke up one morning, they were partially hanging down. I reinforced with some adhesive caulk and that fixed it. I\'ve had a few inquiries if these lights are waterproof. They are outside but not in the direct rain so that is difficult to answer. I would make sure the wire connection is not in the rain. 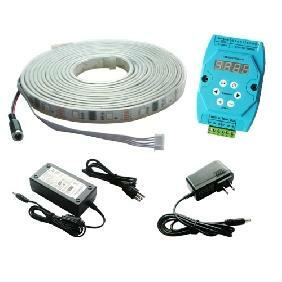 The product was the same as advertised and arrived within the period of time specified. These lights rock. They are bright and easy to work with. 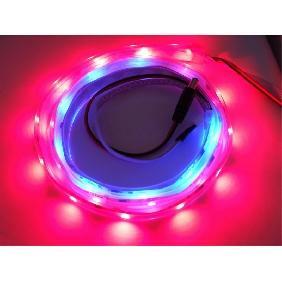 I would recommend this light strip to anyone needing to light things up. It\'s great. 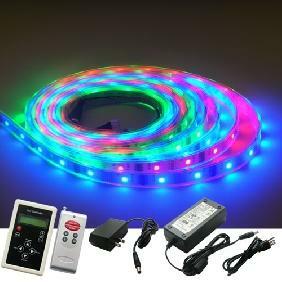 5M RGB Flash LED Strip Dream Color Light 83 Changes Kit Rating: 5 out of 5 based on 4 reviews.